Missed Imagine Dragons on their recent Australian tour? Disappointed that they didn’t make it outside Sydney, Melbourne and Brisbane? The next best thing is here, with the band confirming that, in conjunction with Cinema Live, they’ll be taking the show to cinemas across the country on March 02. The ‘Smoke + Mirrors’ live shows was filmed in front of 15,000 screaming fans at Toronto’s Air Canada Centre, capturing the band in full flight as they performed tracks from their recent album ‘Smoke + Mirrors’, along with songs from their beloved back catalogue. 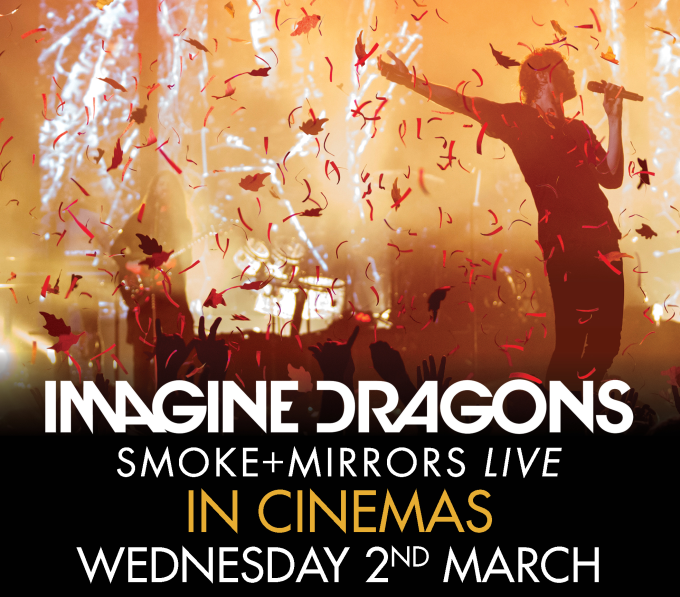 Hit www.imaginedragonsfilm.com for further information.